! This post hasn't been updated in over 2 years. Equalization is one of the most important elements of treating sound – for mix and for effect. Any engineer or producer worth his salt will want a variety of hard and soft EQs for precision and color. 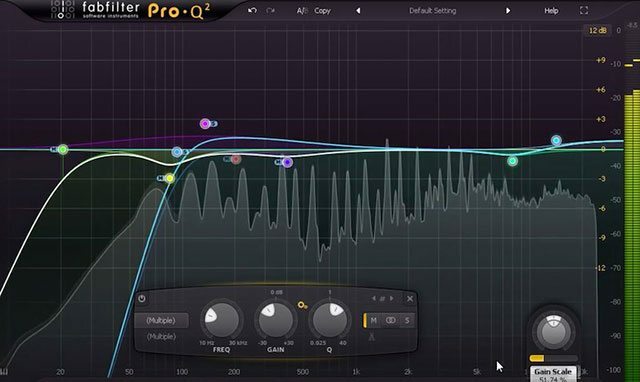 FabFilter’s expansion on their original Pro Q soft EQ is a good contender for essential all-in-one EQ software for an engineer. FabFilterare renowned for their workflow process. It’s a bit of a marmite workflow I think – you either love it or hate it. I find myself in the former camp, and thePro-Q 2 is no exception. The EQ is chock full of customization options, and you can choose how much you want to see at any one time – keeping the GUI clear in order to speed the work process. Opening the plugin gives you an empty GUI. Clicking creates a node or band. You can have up to 24 nodes in a window. Depending on where you click in the window automatically selects one of 6 different types of filter – bell, shelf, notch, cut etc. If the wrong curve is picked, it’s a simple click on the menu that pops up under the node, to select the correct one. There is a couple of new EQ curves, the bandpass and tilt. Bandpass is as expected, but the other, tilt shift, I found particularly engaging. It’s very simple – you tilt the EQ towards the bass or the treble frequency. It shifts the character of the sound, from dark to bright. Very easy to use, but can quickly change the feel of the mix or sound. I was also impressed with the filter slopes. 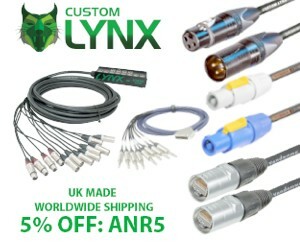 Not only do they vary from smooth and subtle 6DB, but they go up to cliff-edge 96DB. Amazing. You can also apply any slope to all of the various filters. There are plenty of useful presets to get you started, and you can create a new default that opens whenever you load an instance. 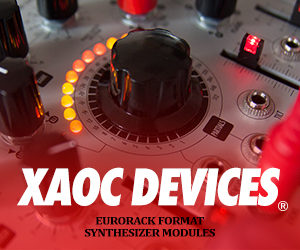 I quickly had a default that had a simple 6 band EQ mapped to my controller with the intuitive midi-learn feature, and so every time I needed an EQ – there it was set up mapped to hardware. FabFilter’s attention to workflow paid off well here. FabFilter have worked hard on the foundational algorithms for Pro-Q 2 – and have come up with a plugin that uses half the CPU per instance, and contains brand new emulation algorithms. Alongside improvements on the zero latency and linear phase algorithms, the Natural Phase is supposed to give the EQ a more analog-style character. At the cost of some inevitable latency, the natural phase is the cleanest, most accurate sounding of the EQs – capable of mastering quality EQ. To me, the sound quality was exceptional. I couldn’t hear artefacts in pretty much all situations. 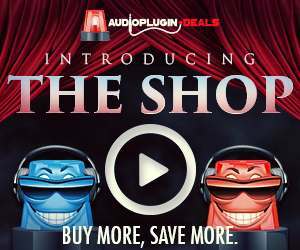 For those with two monitors, or those who love precision EQ’ing – this plugin can be expanded to fill the screen. 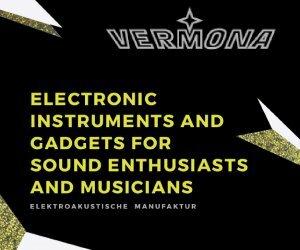 You can analyze the sound you’re working with, hover the mouse over the frequency you wish to change, and a node forms where you’re hovering, effectively freezing the analysis window. You can then lower or raise that frequency immediately. It’s a very effective way of using eyes and ears together to find problem frequency areas, and then deal with them efficiently. Loads of software EQs have this feature now, but FabFilter do it slightly better – it’s a case of two clicks to match the EQ, for super-fast workflow again. The analyser menu at the bottom of the plugin gives the options for pre, post and sidechain spectrum views. One click of the EQ match button and the EQ starts processing the incoming signal and overlaying an EQ to bring the current signal to similar areas. This is all tweak-once the processing is done. Mid side processing is becoming the norm nowadays, and I find it extremely useful especially when working on mixes. Being able to work on the centre EQ without affecting the sides or vice versa, can really clean up the overall sound. Sliding over the output controls at the bottom right of the window gives you several options, including phase inversion and clickless bypass. But the Autogain function was of interest to me. When working with EQs, as the ears get tired or used to the new boosts or cuts, and it’s annoying to keep A/B’ing with the original signal to ensure that you’re not just preferring the sound because it’s louder. This auto-gain function, hopefully, speeds the workflow somewhat by removing the A/B check, so you can concentrate on the sound without having to worry about volume changes. Here’s an excellent video put together by the FabFilter team walking you through the basics of the plugin. 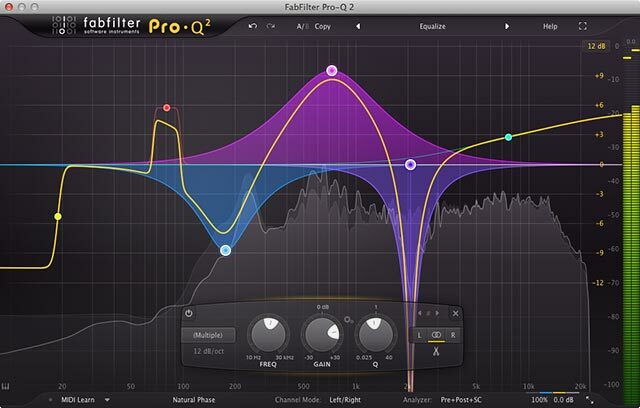 FabFilter Pro-Q 2 is already my go-to plug-in for most EQ requirements. A 3rd party EQ might be something you wonder whether it’s worth spending hard cash on, when there are serviceable EQs already contained in your DAW. But consider that the creator of the plugin has probably spent a lot more time thinking about the particulars of equalisation, and has dedicated more time to the algorithms, the CPU usage, and all the bells and whistles. Pro-Q 2 is far and away better than all DAW EQs, and probably outruns most other 3rd party parametrics. The only lacking element is character and color from emulating vintage hardware. But really the only reason to walk on by is if you’re completely broke. It excels as an all-in-one surgical mix and master tool.